The Cardinals are still awaiting an update on Alex Okafor's calf injury. 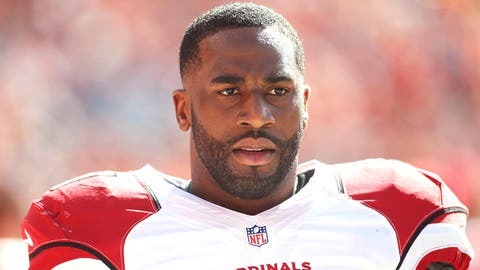 The Arizona Cardinals will place linebacker Kenny Demens on season-ending injured reserve after he suffered a torn ACL in Sunday's win at the Detroit Lions. Cardinals coach Bruce Arians on Monday confirmed the injury to Demens, a reserve linebacker and one of the team's top players on special teams. Demens, starting linebacker Alex Okafor (calf) and safety Chris Clemons (hamstring) were sent back to Arizona to undergo MRI exams while the Cardinals flew to West Virginia on Sunday night to prepare for Sunday's game at the Pittsburgh Steelers. Arians did not divulge any updates on Okafor or Clemens, nor would he confirm multiple media reports that the Cardinals have signed veteran defensive end/linebacker Dwight Freeney. The NFL Network reported that Okafor could be sidelined as long as six weeks due to a calf strain. Arians said still waiting on MRI results for LB Okafor, S Clemens. He wouldn't confirm Dwight Freeney signing.